How to Buy Science Club packs and other items from Professor Brainstorm's Science Shop. * You will need to provide ordinary household items (e.g. empty plastic bottles, crisp tubes, etc) and standard classroom equipment (such as rulers, scissors, etc). Starting a Science Club? Get your new science club off the ground instantly! Just order an Instant Science Club pack for the required number and age of the pupils. Next year, simply order a Refill pack - containing just the consumable items. Existing Science Club? Looking for a few new cool experiments to complement your existing ones? Order a Sample pack - which contains one copy of each experiment (for the appropriate age range). Decide which of the experiments you wish to use, then simply purchase the items that you need. If you running a science club for a group which covers more than one of these age ranges, please contact us with your requirements. We will be able to put together a pack which covers your needs. 18 amazing experiments designed specifically for younger children. The activities are arranged into SIX sessions - each of which lasts about 1 hour. If your desired 'number of children' is not listed above, please contact us for a quote. 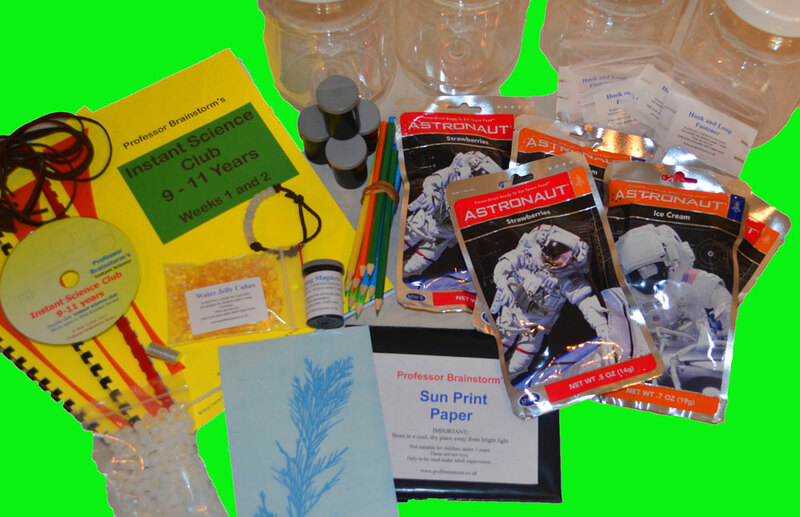 If you wish to run the science club again, you will only need to purchase a Refill pack - which costs £70 and contains all the consumable items required for 10 children. 18 fascinating experiments ... more information. 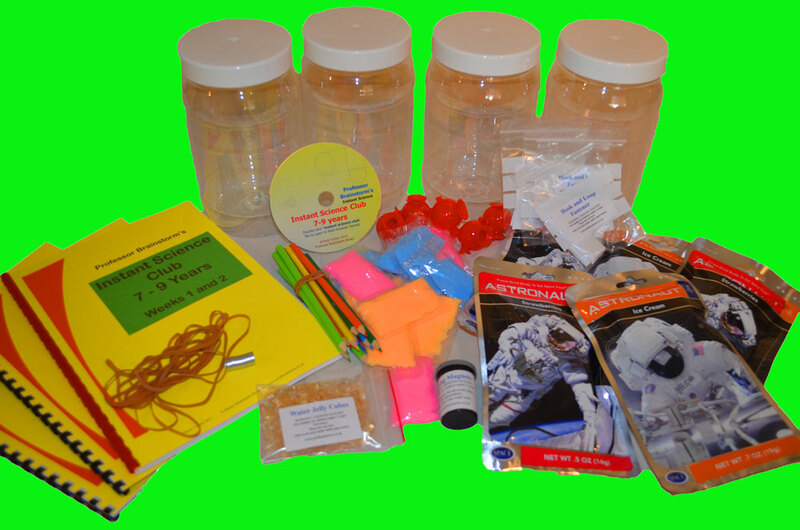 If you wish to run the science club again, you will only need to purchase a Refill pack - which costs £55 and contains all the consumable items required for 10 children. 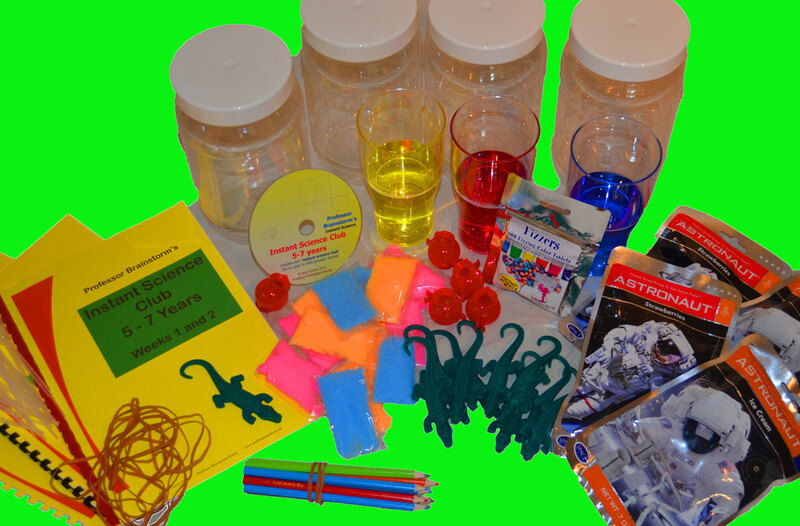 If you wish to run the science club again, you will only need to purchase a Refill pack - which costs £75 and contains all the consumable items required for 10 children. These packs contain all of the consumable items for 10 children. So if you purchase an Instant Science Club pack for 20 children the first year, you will only need to buy 2 of the appropriate Refill packs to run the club again the following year. You will also find Refill packs useful if you run 2 or more science clubs for different groups of children (but in the same age group) - for example, on different days of the week, or on alternate weeks. So, if you decide to run 3 clubs for 15 children per session you will need to order an Instant Science Club pack for 15 children and 3 Refill packs. Note - Refill packs do not contain any instructions - or any of the non-consumable items. For more information about the contents of these packs click here. These packs are designed for people who want to pick and choose which experiments to use. The packs contain one copy of each experiment for the appropriate age range. Once you have decided which experiments to use, you can purchase additional items as required. Note: There is some overlap between the experiments in the different age ranges - so if you wish to purchase Sample packs for more than one age range, please contact us - and we will put together a pack to meet your requirements.